CRV Ambreed’s genetic discovery that led to the launch of LowN Sires this year around reducing nitrogen leaching, has been the cornerstone of a successful bid to receive government research funding, announced by Research Science and Innovation Minister Dr Megan Woods. The Ministry of Business, Innovation and Employment (MBIE) fund will invest $8.4 million towards the seven-year research project. The project will be led by DairyNZ and co-funders CRV Ambreed and Fonterra. It will also involve researchers from DairyNZ, Abacus Bio, A. L. Rae Centre for Genetics and Animal Breeding, AgResearch and Lincoln University. 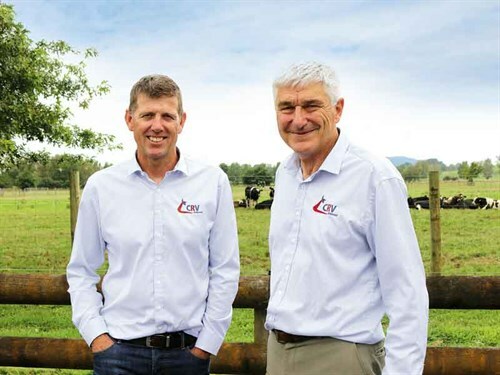 The $21 million project will be made up of the government’s $8.4 million contribution, with $11.5 received from farmers via Dairy NZ’s levy, and the balance coming from CRV Ambreed and Fonterra. LowN Sires bulls are desirable for traditional traits as well as being genetically superior for the trait milk urea nitrogen (MUN). MUN is a measure of the amount of nitrogen contained as milk urea. CRV Ambreed has found overwhelming international evidence of a direct connection between MUN and the amount of nitrogen excreted in urine. The large-scale research will involve thousands of cows on farms around the country to test the effectiveness of breeding and measure the reduction of nitrogen leaching expected through genetic selection – potentially up to a 20 percent reduction. "This is excellent news for the industry and the environment, and we congratulate the minister and our partners for seeing the importance of this research to New Zealand." He says farmers are already working hard to mitigate nitrogen leaching and meet environmental compliance levels. "The beauty about the genetic approach is its potential to have a significant additive effect to other strategies a farmer might be taking to reduce nitrogen leaching with minimal cost and disruption to their current farm management systems." "Better options to reduce nitrogen levels in our food farming gives choices for our rural communities in that they can achieve environmental gains and maintain local businesses – it’s very much a win-win."